Lin-Manuel Miranda has confirmed his role in BBC's upcoming His Dark Materials adaptation. I'm headed back to 🇬🇧 for a couple of months. 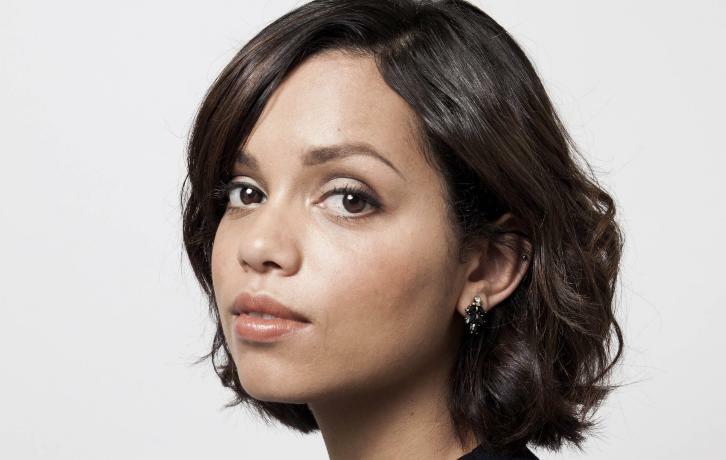 Georgina Campbell (Krypton, Black Mirror: Hang the DJ, Electric Dreams), Ian Gelder (Game of Thrones, Torchwood: Children of Earth), Anne-Marie Duff (Shameless UK), Will Keen (Wolf Hall) and more have joined BBC's His Dark Materials adaptation. BBC and Bad Wolf today announce a stellar cast and crew line up to join Academy Award-winning director Tom Hooper in Jack Thorne’s adaptation of Philip Pullman’s acclaimed series of novels. Principal photography has begun in Cardiff. Dafne Keen takes on the lead role of Lyra, the young protagonist of the story who lives in Jordan College, Oxford. Placed there at the request of her Uncle, Lord Asriel (James McAvoy) she lives a sheltered life amongst the scholars and college staff while under the watchful protection of The Master (Clarke Peters) and Librarian Scholar Charles (Ian Gelder). When the glamorous and mesmeric Mrs. Coulter (Ruth Wilson) enters Lyra’s life she embarks upon a dangerous journey of discovery from Oxford to London. Here she meets Father MacPhail (Will Keen), Lord Boreal (Ariyon Bakare) and journalist Adele Starminster (Georgina Campbell) at a glittering society party where she first hears about the sinister General Oblation Board. Lyra is subsequently thrown into the nomadic world of the boat-dwelling Gyptians - Ma Costa (Anne-Marie Duff), Farder Coram (James Cosmo), John Faa (Lucien Msamati), Raymond Van Geritt (Mat Fraser), Jack Verhoeven (Geoff Bell) and Benjamin de Ruyter (Simon Manyonda) who take her North in her quest. Once in the North, she meets charismatic aeronaut and adventurer Lee Scoresby (Lin-Manuel Miranda) who joins them on their epic journey and who becomes one of Lyra’s closest allies. Talented young actors joining the cast include Lewin Lloyd as Roger Parslow, Daniel Frogson as Tony Costa, Tyler Howitt as Billy Costa and Archie Barnes as Pantalaimon. Piers Wenger, Controller of BBC Drama, says: “The vast, complex and deeply imaginative landscape of Philip’s novels requires a world class but quintessentially British band of creatives to bring them to life. The BBC is proud and privileged to be the host to such visionaries. Thank you to Jane, Jack, Dan, Joel and Tom and of course to Philip for entrusting us with their work and sharing the journey of seeing His Dark Materials come to life”. Jack Thorne (Harry Potter and the Cursed Child, This is England ’88) is a Bafta, Tony and Olivier Award-winning screenwriter and playwright. Tom Hooper (The King’s Speech, Les Miserables) will lead as director and helm the first two episodes with Dawn Shadforth (Danny Boyle’s Trust, Kylie Minogue’s Can’t Get You Out of My Head) directing episode three and Otto Bathurst (Robin Hood , Peaky Blinders) directing four and five, with other directors to be announced. Dan McCulloch (Victoria, Endeavour) is Executive Producer and Laurie Borg (Peaky Blinders, Black Mirror) is Producer. In its first foray into British television, New Line Cinema is producing the series with Bad Wolf for BBC One. The design team is led by Joel Collins (Black Mirror, The Hitchhiker’s Guide to the Galaxy) with costumes designed by Caroline McCall (Downton Abbey, Hyde Park on Hudson) and hair and make-up design being led by Pamela Haddock (The Terror, Sherlock). Director of Photography for block one is Justin Brown (The End of the F***ing World, Sixteen) and casting director is Kathleen Crawford (I, Daniel Blake, Filth). Framestore takes the role of VFX creative partner on the show: managing and executing VFX throughout and working closely with the production team to ensure the awe-inspiring work can be achieved on budget, and on time. Michelle Martin, Head of Television, Framestore says: "We could not be more excited to partner on His Dark Materials, a televisual event of truly epic proportion. It’s a hugely ambitious project, but one we at Framestore take on confidently, knowing our award-winning teams will successfully see it through." His Dark Materials is produced by Bad Wolf and New Line Cinema for BBC One in association with BBC Studios Distribution and Anton Capital Entertainment, S.C.A. The series will be filmed in Cardiff at Wolf Studios Wales. His Dark Materials is one of the supreme works of imaginative fiction for both children and adults published in the 20th century. After series one, which covers the first installment of Northern Lights, the story continues in The Subtle Knife where Lyra is joined on her journey by Will, a boy who possesses a knife that can cut windows between worlds. As Lyra learns the truth about her parents and her prophesied destiny, the two young people are caught up in a war against celestial powers that ranges across many worlds and leads to a thrilling conclusion in The Amber Spyglass. His Dark Materials has been published in more than 40 languages and has sold worldwide close to 18 million copies. Apple and Netflix are among the suitors for the U.S. and global rights per Deadline.